I have a charity paypal account and I'd like to create a paypal donation form integrated to the paypal account. I've tried all the settings and so far I don't see exactly what I'd like to do. You have setup your Paypal payment field to Sell Products, when your aim is to accept Donations. 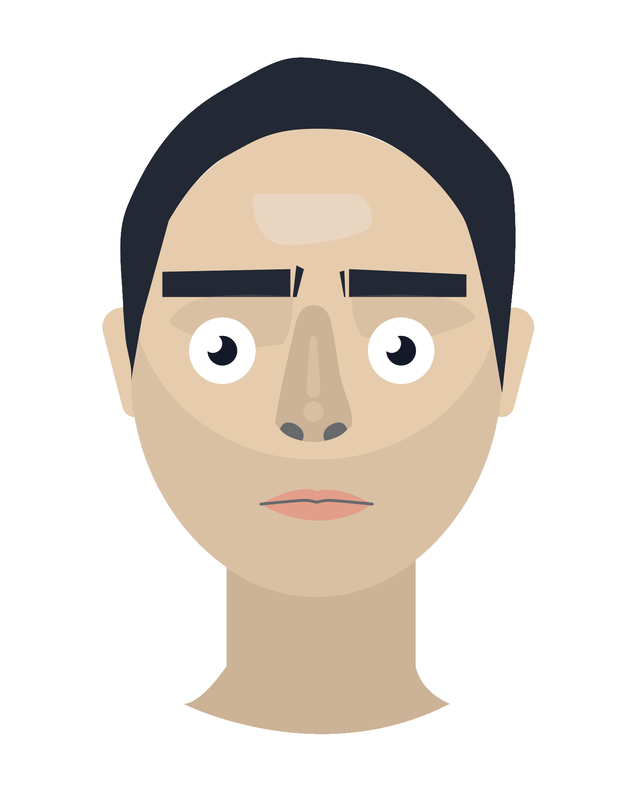 To achieve what you're trying to do, you should use a couple of form fields + form calculation. 2. 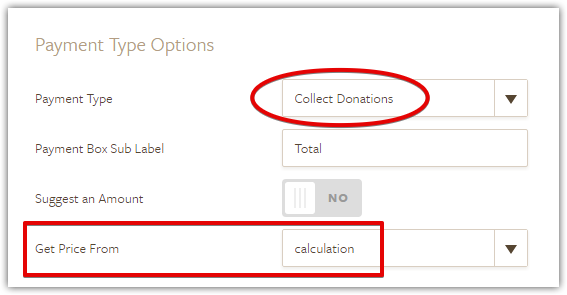 I added 4 NUMBER FIELDS for each of your charities. This way, your users can enter their desired donation. 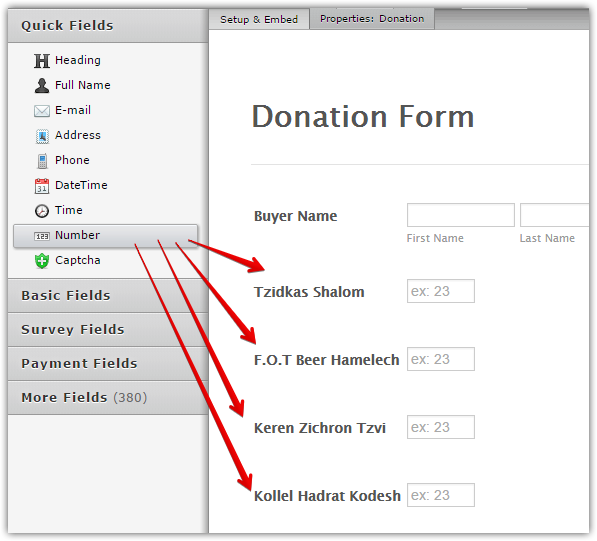 I decided to use NUMBER FIELDS since you're asking for donations (in number format). You would notice that I only added all the 4 number fields to get the total. Then I passed that calculated total to your Paypal Payment field as highlighted on the very first screenshot of my reply (GET PRICE FROM > CALCULATION). 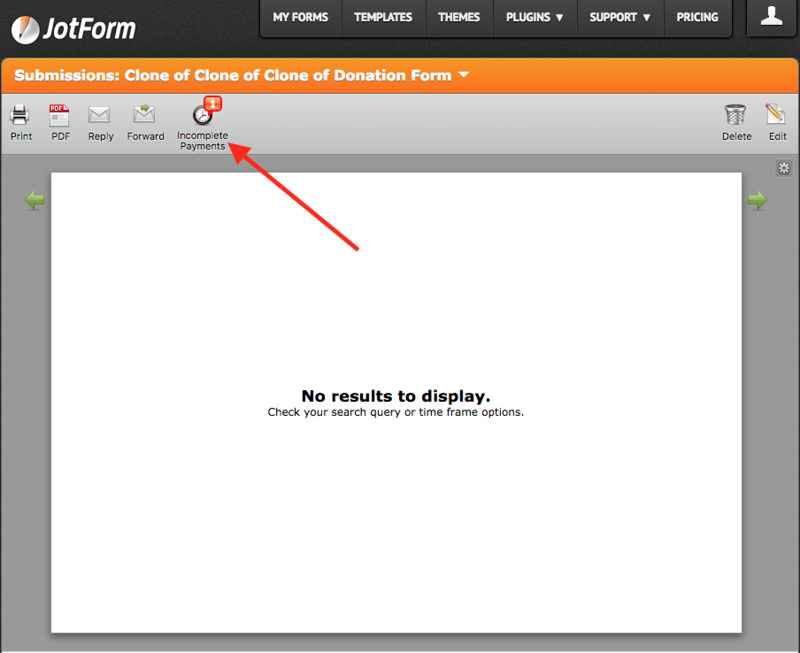 If you want to clone my form so you could see how it was setup, here's how. Two more questions, where/how do I see which charities they selected? The whole idea is to get the breakdown not just the total. Is there anyway to customize the button? I have opted to choose every one of them and entered different values for each. They all appeared in the submission as expected. Your other question about customization will be answered here. Please contact us again if you need any further assistance. How can I test an actual submission so I get the email notifications as well without having to make an actual transaction? 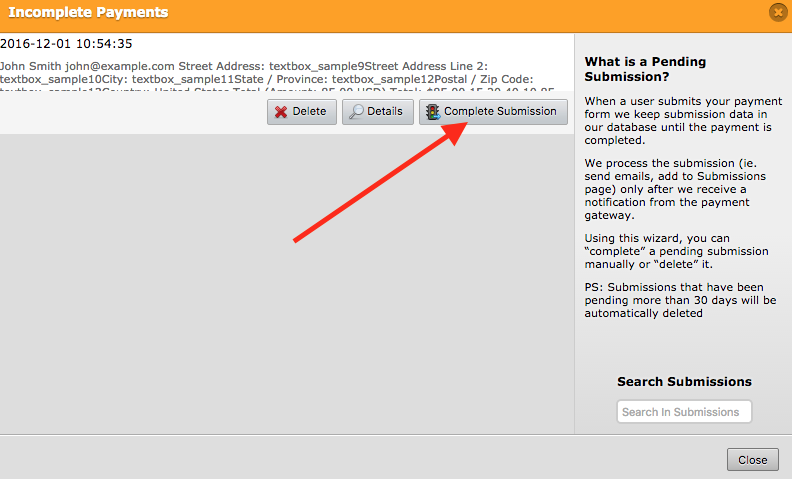 When you click the "Complete" submission in the "Incomplete Payment" list, that should trigger the email alerts of that specific submission. Ahh, thanks so much!! I see now, I had my email entered wrong which is why I didn't receive the previous submissions. I've looked around and found a similar question from years ago so I'm asking it again in the hopes that things have changed. 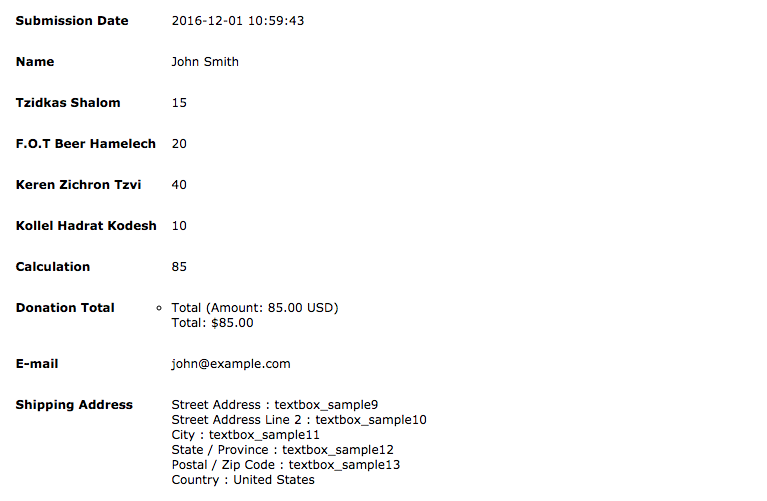 Is there anyway to pass the jotform information to paypal so that users don't have to fill in the same info (name, address, etc..) twice? As it stands, they fill out the jotform, click submit to login to paypal and then have to fill out the paypal form with the same info.